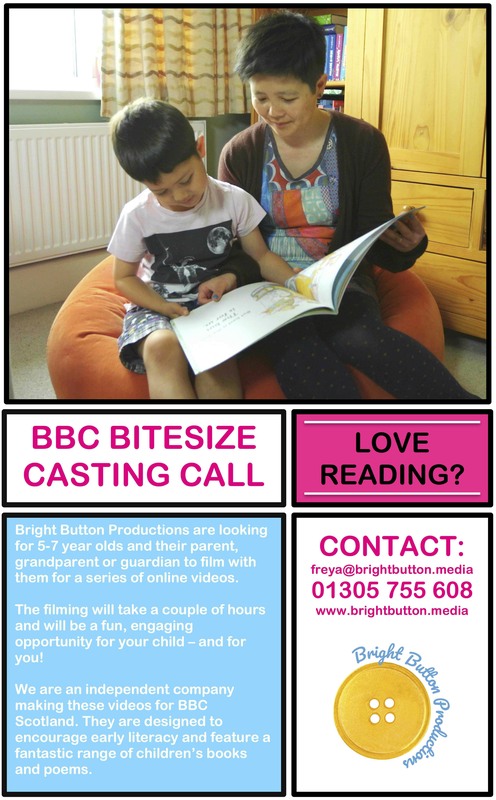 Bright Button Productions are looking for 5-7 year olds and their parents to take part in a series of online videos. Please click here to see the flyer for this. If you require any further information please contact the number or email address on the flyer.